What type of training and support will I receive at WPFG? What is the pay structure for a Financial Professional? Are there any incentives in addition to your compensation package? What type of licenses do you require? Does this position require financial experience? What if I don’t have a background in the financial services industry? What type of career path do you offer? What does a Financial Professional do? What are some characteristics of a successful Financial Professional? The Financial Services Professional career is as challenging as it is rewarding. We believe that no individual makes a career decision without a strong desire to excel in their chosen field; however, it takes more than desire to be successful in the financial services industry. Our Selection Process is designed to help us identify your potential success. Expect this process to take several weeks. Through the skills assessments, personal interviews, and marketing projects, we try to ensure that the decision for you to join WestPoint Financial Group is the right decision – for you AND for us. We believe that a structured training plan is the best format to build a solid foundation that will lead to a successful career as a Financial Professional. At WPFG, we believe that every Financial Professional should be trained to the fullest extent of our capability as an organization enabling each Financial Professional to reach their full potential. Our training philosophy includes the development of a Financial Professional as a general practitioner, providing an introduction to Disability Income Insurance, Long-Term Care Insurance, Investment Planning, Retirement Planning, Pension Planning, Health Insurance, Mortgages – the entire scope that individuals, families and small businesses have, as part of their overall financial landscape. When an independently contracted career agent sells an insurance or annuity product, they receive a commission. First Year Commission (FYC) is a percentage of first year premium (commission rates vary by product). We understand that it may take time for a new Financial Professional to build a business and develop a steady income stream. In the interim, the solution for many new agents is a Supplemental Income Plan, which provides income in addition to FYC. In addition to First Year Commissions, you may receive Renewal Commissions on premiums received after the first policy year. Typically, renewal commissions are significantly less than first year commissions. However, over time, renewal commissions may make a strong contribution to your income stream. Total retirement savings program- The retirement program, including a 401(k) plan and cash balance plan, is designed to recognize your contributions to the company and to provide the tools necessary for you to actively participate in and plan for your future. Medical, dental and vision coverage- The group health program offers coverage for you, your spouse and your eligible children. Coverage for a domestic partner and his/her eligible dependent children is also available. Disability benefits- If you suffer a significant accident or illness resulting in disability and experience a loss of income as a result, we provide a disability program with both short-term and long-term disability coverage. Professional Designation Reimbursement - We are proud to have the industry’s leading network of financial professional. To that end, we reimburse for many professional designations (certain restrictions apply). Recognition Conferences - Financial Professionals who meet specific qualification requirements based on production and persistency are invited to attend the Company’s recognition conferences. 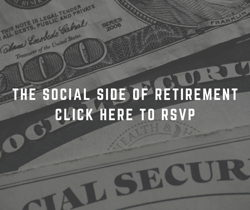 The invitation includes the Financial Professionals spouse or guest. *Eligibility applies only to those Financial Services professionals who hold a full-term career contract (X4X) with Massachusetts Mutual Life Insurance Company (MassMutual). Eligibility for subsidized benefits and before-tax coverage is based on meeting certain contract requirements. Benefit plan provisions are subject to modification or termination. Financial Services Professionals are independent contractors and are not employees of MassMutual, its subsidiaries, or of General Agents with whom they contract. Financial Professionals are required to hold the Indiana Life & Health Insurance license and FINRA Series 6 and Series 63.Only the Insurance license is required prior the commencement of training (if you don’t currently hold an Insurance license, don’t worry – WPFG will assist you with this process). While past experience is helpful, it is not required for this position. In fact, many successful Financial Professionals have no prior experience in the financial services industry. We’ve hired individuals with a number of different backgrounds, including recent college graduates, former teachers, pharmaceutical representatives, CPAs, attorneys and sales representatives from other industries, just to name a few. As a Financial Professional, you can grow your own practice and maximize your earnings potential by building rewarding, long-term client relationships while adding value to the lives of the people you work with as you help them prepare for their financial future. You can choose to be a generalist; a practice area specialist in retirement planning, estate planning, business planning, or other areas; or an agency specialist sharing your expertise in an area of specialty with others like a long-term care or investment specialist. As a Managing Associate, your experience in the business and high level of personal production has afforded you the opportunity to explore a career in sales management. In this two-year role, you will continue your career building activities while providing joint work and case preparation support for new financial services professionals. You’ll also assist your agency’s management team with recruiting. Depending on the best fit, this role may lead to a position as a Sales Manager, specialist or other position on the agency management team, or you may choose to continue full-time personal production as a financial services professional. As a Sales Manager, you’re the agency’s front-line recruiter, coach and mentor responsible for growing a sales team. You’ll have the rewarding opportunity to attract and select promising individuals to the profession, and help them achieve their goals as you develop your own talented, high-performance sales team. You’ll learn how to accurately assess client needs and design, implement, and monitor financial strategies that are tailored to their specific circumstance, while building long-term relationships with clients.